You have no excuse for saying in and playing Halo 3 this weekend. There is just WAY too much going on. 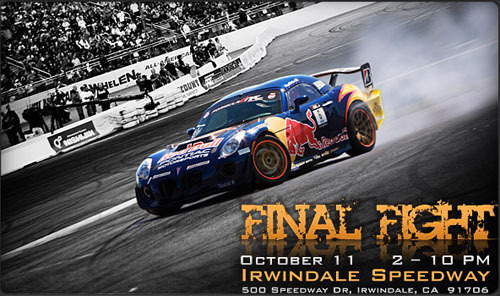 First of all tomorrow over at Irwindale is the final round of the 2008 Formula D season. It’s certain going to get dicey as there are technically at least 4 men still alive for the series title. Right now Tanner is leading the points but two time champ Sam Hubinette and former champ Rhys Millen are not far behind. Also while unlikely, Dai Yoshihara also has an outside chance should something catostrophic happen to the top three. Saturday is going to get really intense! Naturally after such a crazy Saturday night you’ll want to chill out on Sunday right? 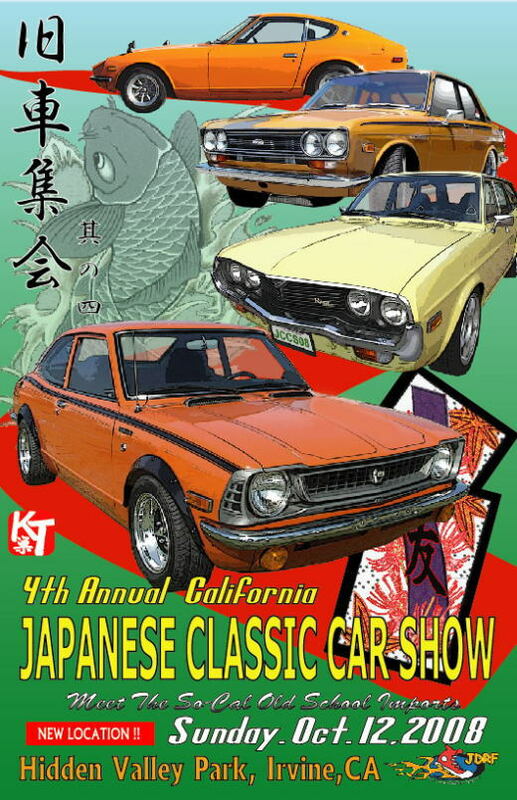 In that case you should grab a few friends and cruise over to Irvine for the 4th Annual Japanese Classic Car Show. This event is the Mecca of old school JDM rides. And when I say “old school” I really mean it! A 1986 Toyota corolla will be “modern” compared to some of the classics you’ll see parked in the grass. It will definately be a great way to spend a Sunday. Check out the thumbnail below for the flyer. There I’ve officially let you guys know whats going on. if your friends clown you on Monday because you missed out you can’t hold us responsible! Have a great weekend!